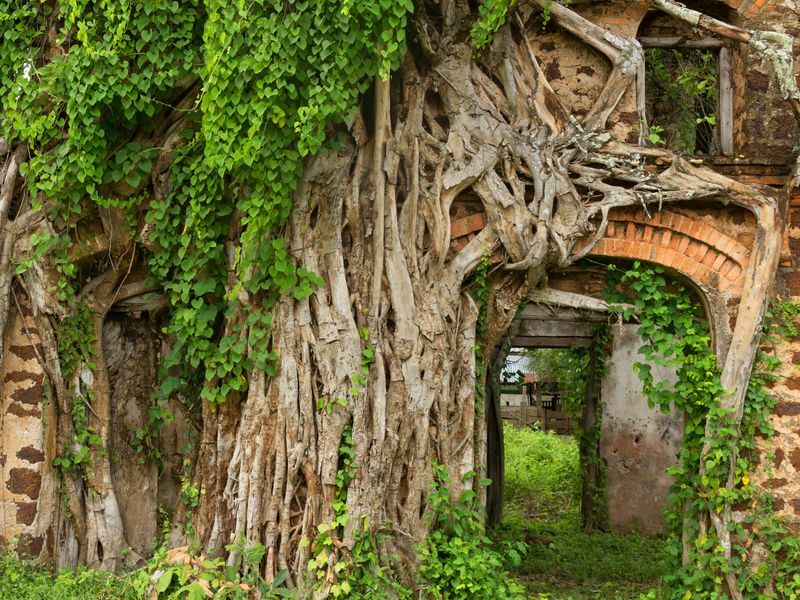 Tucked among the upper part of Isaan, Sakon Nakhon seems hot and sleepy, and pales in comparison to its more famous neighbors to some travelers. However, those who have discovered Sakon Nakhon’s hidden gems love the city for its gigantic lotus pond, French Vietnamese architecture in Thailand’s biggest Christian village and original indigo dyeing workshop. Find local-recommended things to do in Sakon Nakhon here. Although many cities in Thailand have their own stunning lotus ponds, Nong Han Chaloem Prakiat Park definitely stands out for a handful of reasons. 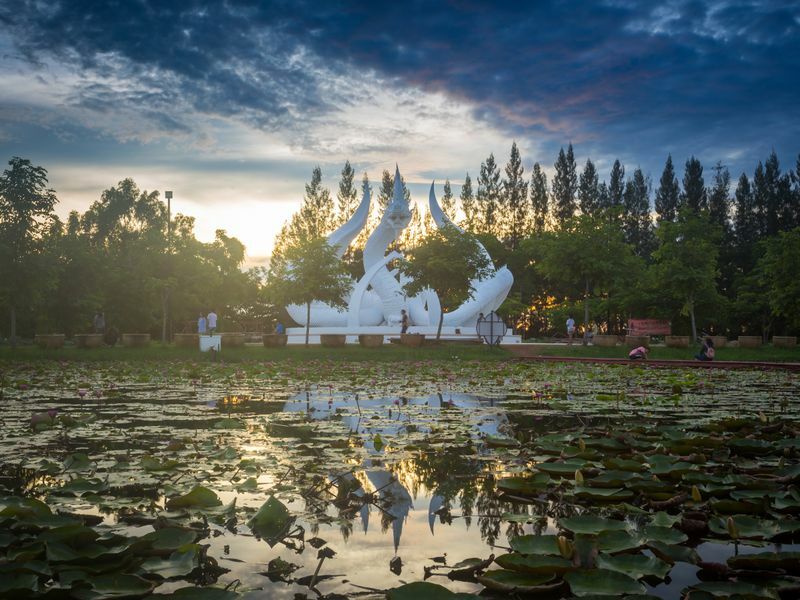 Ranking as Thailand’s biggest lotus park, the 4-acre water space blossoms with 34 types of floating lotus. The water here flows straight to the Mekong river. Then, there are more than 70 types of lotus in pots for you to get up close and personal with the queens of the water. Nong Han Chaloem Prakiat also serves as rich research sources about all things lotus including history and agriculture. Both a classic spiritual hub to locals in Sakon Nakhon and a major attraction to visitors, Wat Phra That Choeng Chum doesn’t disappoint. The ancient temple’s claims to fame include the chedi that is said to cover the footprints of four Buddhas. Then, there is the glittering umbrella above the Buddha statue that is made of gold as ample as 247 baht. 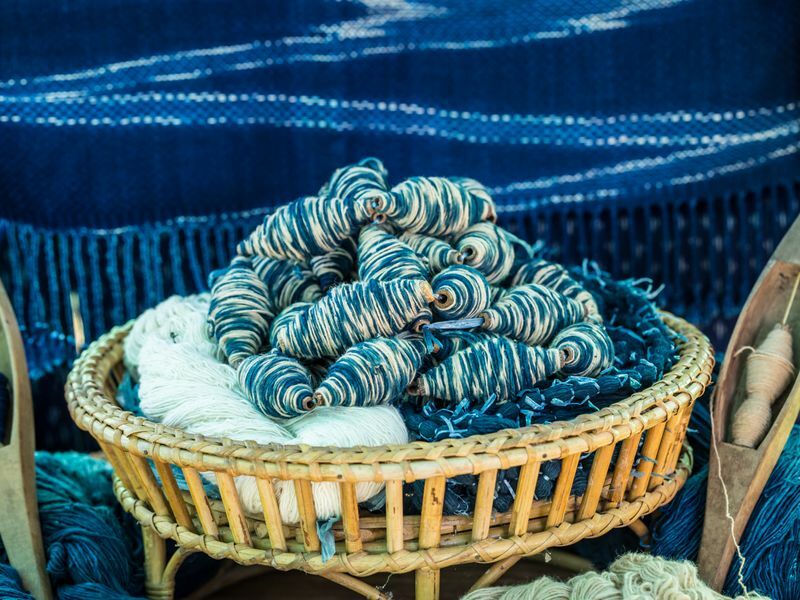 Sakon Nakhon is known for its indigo plants, the natural color in your favorite tie-dye beach dress. To the locals, the indigo dyeing is much more than the process of fabric producing. It is a soulful regional pride. To textile lovers, these handmade clothes are not just pretty, they also help adjust your body temperature according to the weather. Here, you can have a hands-on experience crafting up your very own tie-dye tee shirt with the local gurus. Ranking among Sakon Nakhon’s oldest temples, Wat Tham Pha Daen stuns visitors with its stonewall engraving of Story of the Buddha. The neat works illustrate a gigantic reclining Buddha and a plethora of the Buddhist lord in various other positions. 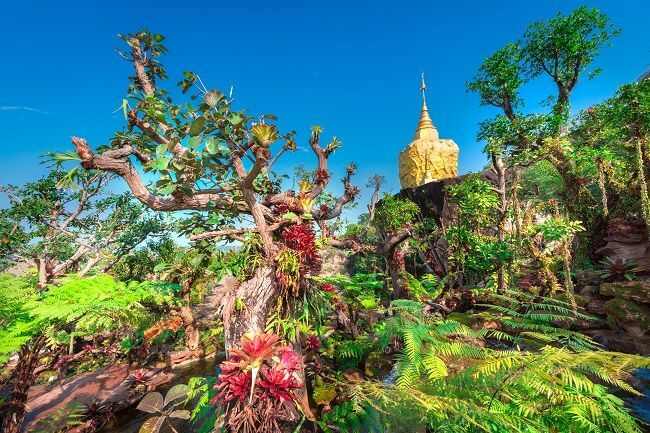 Plus, the temple is perched up on top of a hill, granting temple goers a 180 degree view of Sakon Nakhon city and a lungful of fresh hilly air. 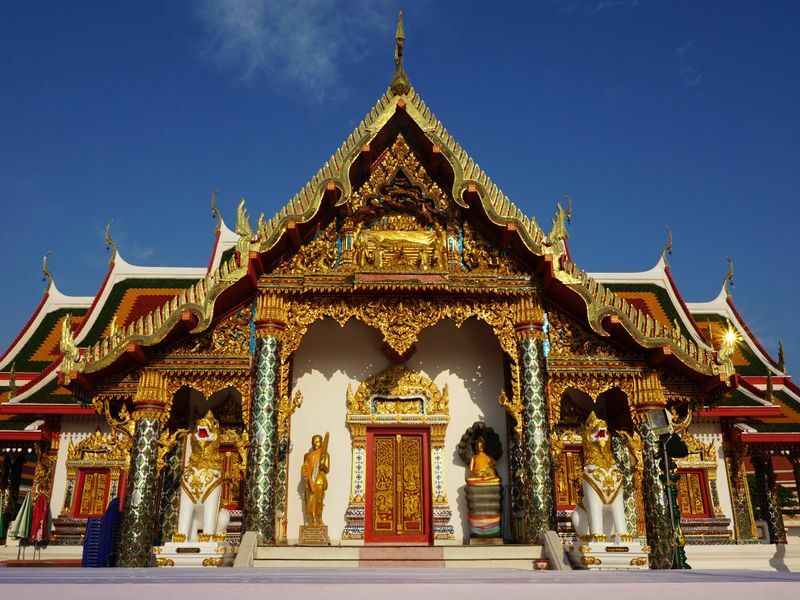 Culture buffs, don’t miss a chance to visit Thailand’s largest Christian village. Tha Rae’s original members were mostly ethnic Vietnamese, hence the dreamy French Vietnamese architecture. These Vietnamese lived in Sakon Nakhon city and were harassed by the officials, so they eventually found their own place here. Today, both the Christian faith and the 90-year-old French colonial buildings are still intact and await the visit of respectful explorers. Not exactly what you're looking for? 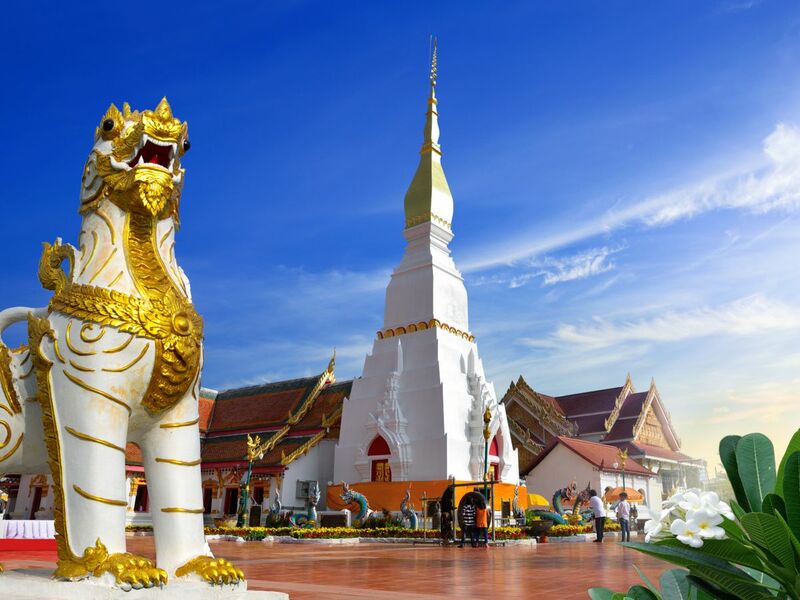 Check out our selection of private 1-day tours in nearby Isaan cities.